As of the 29th March 2019, assuming there is no political change, the United Kingdom will be leaving the European Union, which is referred to as ‘Brexit’. With Brexit, comes change and uncertainty, however Brewer Science would like to inform you that it will not affect business with our European customers or supply chain in the EU. All of our business contracts of sale with our customers in the EU are between Brewer Science, Inc., a Missouri, USA corporation (seller) and customer (buyer). 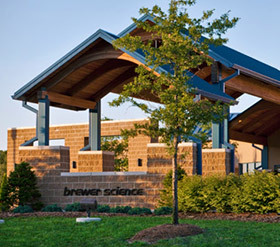 All of Brewer Science’s products and technologies are manufactured and directly supplied and dispatched by Brewer Science, Inc., in Missouri, USA to our customers within the European Union. Deliveries will continue as normal from the USA into the EU and clearance/import will remain the same under the agreed Incoterms. None of Brewer Science products are manufactured, supplied or dispatched by Brewer Science from the UK or any other EU member state. Brewer Science Ltd, our UK based entity, is Brewer Science’s sales/order processing, training, international business and technical center that supports our European customers and partners in business and industry. This office will continue to ensure that Brewer Science provides all of our stakeholders the best support, service and rewarding relationships. The transfer of Brewer Science’s OR entity to the Germany-based Intertek was completed on March 29, 2019. Upon request, letters will be sent to customers with the name and address of the new Intertek OR entity. With regard to the REACH Classification Labeling and Packaging (CLP) inventory notification, the transfer to the German Brewer Science entity was completed on March 22, 2019. The European Chemicals Agency (ECHA) has noted that any information from existing notifications made by UK manufacturers or importers will remain available under the conditions of the legal notice that ECHA has published along with the CLP inventory. 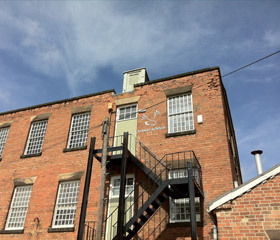 All new CLP inventory notification will be made by the newly appointed EU entity.